Matt Groening, from “School is Hell”, 1987. In a curated series on archival texts, views, discussions and comments on the state of architecture and design education in India, Sen Kapadia contributes the first to provoke further thought as he reminisces about the importance of a diverse learning environment against the restrictive curriculum-based thinking. There was a time when education was enough to tame the loitering mind. Enough to allow culture to percolate into a civilization. Then again there was that time when focused education honed us for professional performance in an urbanized society. These assumed a proportionate availability of ideal teachers, libraries and an excellent syllabus evolved by inspired scholars, with acute attention to individual needs and the growth within. Seminars, debates, discussions, search and expressive resolutions, formed a theoretical base. Students produced inventive presentations that merited high in socio-cultural impact. Such possibilities arrive only after a dedicated inquiry into congeniality of various disciplines. This expands horizons of knowledge and ensures discoveries of new realities. Suddenly, with the increase in a competitive environment, studies were reduced to a battlefield for the accumulation of marks at each examination. With such a dense synopsis, the Kamla Raheja Experiment started in 1992 with a goal to arrest the drift in architectural education. In pursuit of an illusive profile for a new syllabus, a positive and inclusive system seemed appropriate. Without negating existing archaic courses required for redundant exam oriented teaching, K.R.E. converted them into discourses by deconstructed university prescribed syllabus. Interactive discourses by non-tenured scholars put dynamic charge into these topics to lift them from banality into deep inquiries. These events produced a new and congenial academic environment for learning. This notion was nourished by an open-minded approach to learning by its enthusiastic and largely adjunct faculty who practised and then preached the value based professionalism. It would be pertinent to stress that the primary task for any school would be to locate the Director. The Head of Faculty would be a person with proven credentials, not merely assembled university degrees. A widely traveled, deeply interested in historic icons and their reasons to be so. Simultaneously scanning for leaps in world knowledge that will yield tomorrow’s iconic people, events, and products. One who is acutely aware of a new visual language of the millennium, Cinema and its role in deciphering new codes of urbanized and differently wired universe. This role model educationist will even be a writer, sensitive architect and an intellect who has a pulse of youth. Here, you might say ENOUGH and cry out, “This is a description of a fictional character.” Not really. While most of us are not even asking “What is a school”?. Reinventing a school of architecture is not even on our agenda. Perhaps, it is easier just to wait for some new developments across the seas, then grab ideas in the garb of collaboration and once again deny the individual authentic personal approach. We remain at the bottom. Denying such timid routine, K.R.E. attempted an approach on conceptual premise. Any object attributes its existence on three translations. Before its physical existence, it is on illustrated level and above all, it is on an imaginary platform. If the inquiry for a conceptual form is embellished with new multi-layered language, it is sure to yield a fresh new image. That is what creative architect strives for. That is what K.R.E. focused on, the conceptual architecture. In search of new outlines of a deep educational programme. Central to which is a multi-disciplinary learning. Design studios will begin with conceptual contents and attempt to find a fresh set of guiding forces that generates a new discourse on possibilities. Next direction to find outlines of an amorphous form will be a clutch of subsets absorbing climatic, geographical and contextual signs. Allowing various combatant subsets an interplay to develop a new vocabulary for Form/ Space exploration. Discarding existing grammar, each student presents a personal library of emergent objects. Seeing the whole process as a subject of inquiry that prepares young minds to personally absorb rules of problem-solving as a creative process. In course of a five-year study, students will grow up to look at any situation positively and as an opportunity to create with confidence. Every presentation being made to external jury reaffirms the process of learning. The argument, elaborations, and insights are open for everybody to share and learn outside the class room. In fact, this is the climax that Design Studios can reach and in return, a grand opportunity to personally hone the skill of “ concept delivery “ as well as an open invitation to learn by observation for all other students. Then there is the school for open learning, after re-questioning classrooms as spaces for teaching. They are merely instruments for teaching for exams. Without them, space for learning is a new landscape. Perhaps, History of Architecture could be a non-exam subject and narratives could be condensed in a set of audio- video classes. With the only compulsion to attend each session. A few iconic examples would then be seriously studied in their original environment by site visits and then debated, deconstructed and represented with arguments for their being so and socio-cultural environment that induced their special characteristics. There could also be a display as a learning tool and teaching tool. Drawings on walls and models on floors. Learning by observing. Construction can be learned by observing existing examples and presenting them in graphic records of your perceptions. Technology as an instrument for change in education. A school can focus on producing learning modules that can be usable universally. A specific charismatic person can give his observations on a chosen topic and present it with the cross references of today’s visual art and philosophical benchmark on a concise DVD. To induce the reinventing agenda, there are several books available now globally, but always the inner voice has to provoke to put the claim. Additionally, there is this notion that design studio in its present avatar, must be disassembled. Everybody cannot become a design architect. Some people are good assisting an office, some others can be good in site work or in dealing with approval authorities. It is obvious that all schools need not have a similar curriculum. A less intense course could offer an abridged Bachelor of Building Sciences for such a program. Then there could be schools of architecture that has built in programs for training Fellows in a variety of subjects. It would be a sunny day when a well-educated and creative architect will one day teach construction on a site, or on another day an architect will go on-site and monitor the spirit of architecture and adjust measurements. With the uneasy awareness of 250 schools of architecture already in existence and 100 more already being approved, a devastating scenario is being developed by unknowing authorities to unleash upon us. Where do we get that illusive Director from? And essential faculty? And in these numbers? One wonders the efficacy of such a grand program. Perhaps the only way to avoid this calamity is to educate with aid of “Video Learning”. Most classrooms would now have to be audio video rooms where students will learn through the projection of a lecture by accomplished authority on a specific subject. Such lectures will, of course, be interactive, debated, deconstructed and reassembled. This video conference would be its other manifestation, where scattered participants will come under “one roof” electronically and debate issues with the urgency of face to face confrontation. The technique of video learning has long been utilized by corporate houses to inform and educate a vast army of employees. With advancing technologies and satellite transmission, knowledge transfer could be way outside classrooms. Soon our libraries would be air conditioned databases accessing best of learning modules globally. An open source library not restricted to a stack of books. And we will all be rich with knowledge for that. There is also an express need to encourage self-learning. A process that encourages discoveries by personal inquiry. When this is ingrained, the mind will be on a flight to wonderment. Education will be a preferred experience. Sen Kapadia is an Architect, Planner and Educationist, based in Mumbai. He has worked with Louis I Kahn in Philadelphia and the Space Management office in New York. He was the founder Director of KRVIA [Kamla Raheja Vidyanidhi Institute for Architecture] in Mumbai. Sen Kapadia has written extensively on design, architecture and visual culture and lectured at premiere institutions in India and abroad. He lives and works in Mumbai. ‘On Education’ is a collection of thoughts on architecture and design pedagogy in India. 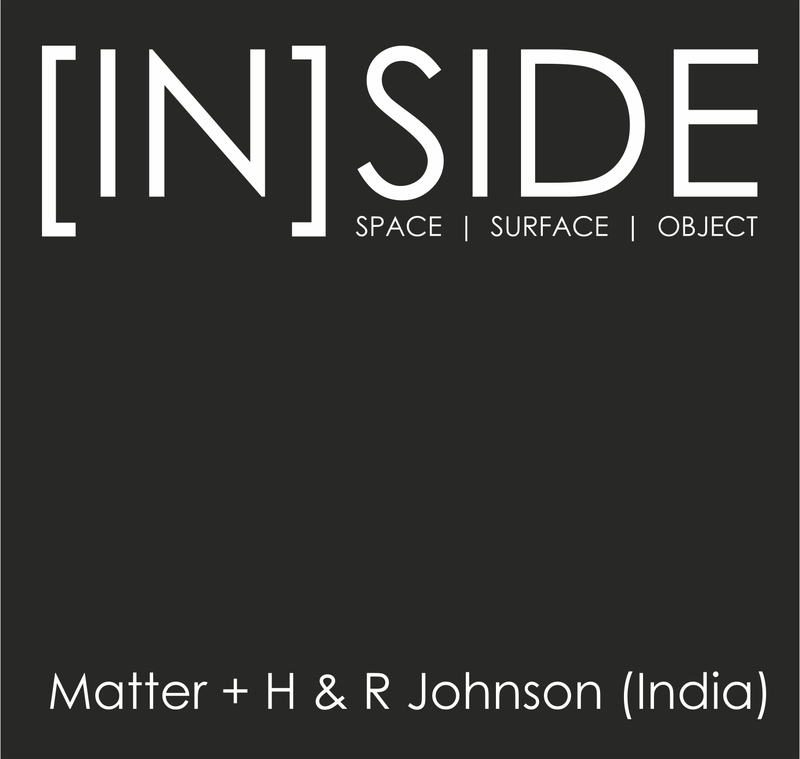 If you wish to contribute to the discussion, please write to us on think@matter.co.in. Sure there is a New Dawn after You did the post graduate campus at Gandhinagar !!! Do You Visit it !